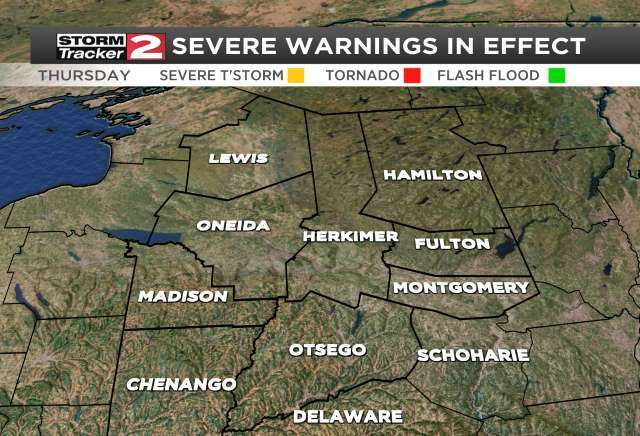 The National Weather Service has issued a tornado watch for Oneida, Herkimer, Fulton, Montgomery, and Hamilton Counties until 10pm. A severe thunderstorm watch is in effect for Madison, Chenango, and Lewis Counties until 9pm. Thunderstorms have developed in Western New York and will roll through our region between 7-9pm. These storms are most likely to produce damaging winds and heavy rain. The bigger concern is any thunderstorm development ahead of this line. Any storms ahead of the main line have the highest chance of producing rotation and damaging winds. There's enough wind shear in the atmosphere to cause stronger storms, and that's why there's a tornado watch in effect. 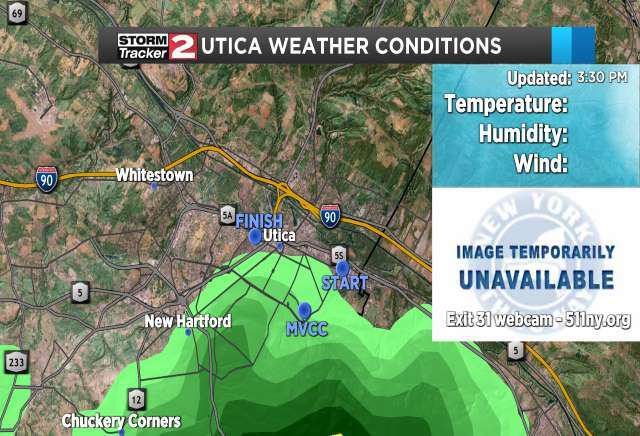 Stay with WKTV and WKTV.com throughout the afternoon and evening for the latest developments.